Come January 2019, the iconic Suzuki Hayabusa's production will come to an end after two decades of glorious run. Suzuki's iconic Hayabusa will hit the end of the road as its production will come to a permanent halt in December 2018 in European markets. After being on sale for nearly two decades, the Japanese manufacturer has been forced to pull the plug on its legendary motorcycle as it does not meet Euro-IV norms in its current version. Since it's mandatory for all motorcycles to meet the latest norms from 1st January, 2019 in Europe, the Hayabusa cannot be sold legally after the end of this year. The decision to discontinue the current Hayabusa will also, inevitably, fuel the rumours of the third-gen model of the motorcycle. There have been numerous reports of a Hayabusa-replacement being currently in the works at Hamamatsu and if that's actually the case, it's going to be more mental than ever! Rumours doing the rounds suggest it could feature a turbocharged motor and dual-clutch transmission. However, whenever the new Hayabusa comes out, it'll have big shoes to fill. You see, the current model, despite not being updated for a very long time, is still a beast in the true sense of the word. For it comes powered by a massive thumping heart - a 1,340cc inline four engine that churns out 197bhp of power and 155Nm of torque! And what makes all of this even more brutal is the fact that it doesn't have any electronic aids. It's all about raw performance. In fact, it held the record for being the fastest production motorcycle in the world for quite a long time, until more modern and more powerful motorcycles arrived on the market. Now while it's time to bid adieu to this legend, it's still going to be available in India for the time being. That's because the current Hayabusa meets BS-IV norms in India and that means it'll be on sale here until the new model arrives. 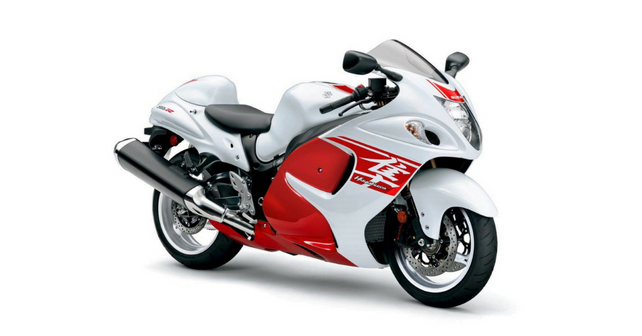 Suzuki India assembles the Hayabusa here as CKD and it carries a tempting price tag of Rs 13.87 lakh (ex-showroom). So, if you want to be a part of this motorcycle's glorious history, there's still time to get one - at least in India.